Edwin Adelbert Locke Jr. and Alice Eugenie Hebblethwaite appeared on the census of 17 April 1930 at Quincy, Norfolk, Massachusetts, USA.11 Edwin Adelbert Locke Jr. lived with Edwin Adelbert Locke III on 27 May 1936 at Merrymount, Quincy, Norfolk, Massachusetts, USA.12 Edwin Adelbert Locke Jr. witnessed the Milt-Note of an unknown person on 27 April 1942 at Quincy, Norfolk, Massachusetts, USA. [S468] Census, 1910, MA, Middlesex, Lowell, Edwin A. Locke age 25 and wife Alice G. age 28 both shown as born in MA, married one year, no children. His occupation draftsman at mill. 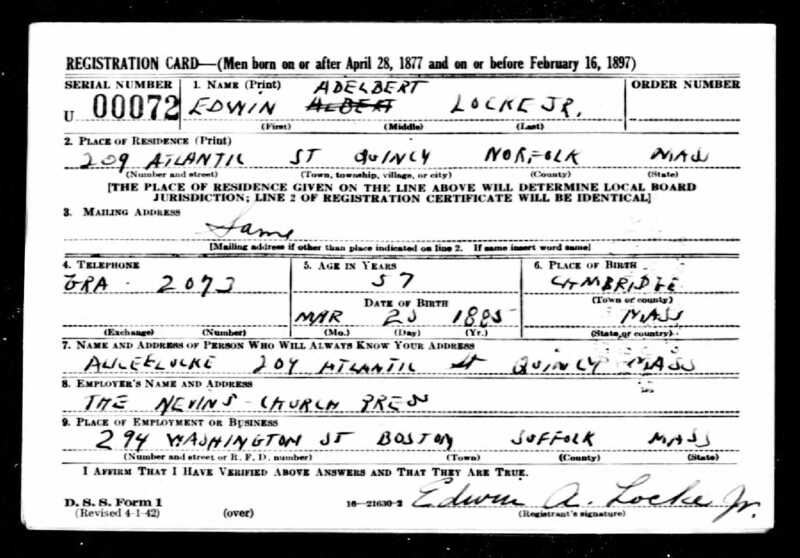 [S476] Census, 1930, MA, Norfolk, Quincy Ward 6, Edwin Jr. age listed as 45 in 1930 Census. [S477] Jerry Harrison, "Jerry Harrison Research", Ancestral File, reports DOB 20 Mar 1885. [S468] Census, 1910, MA, Middlesex, Lowell. [S470] Census, 1930, MA, Norfolk, Quincy. Spouse Mother: Mary E Kennedy. [S476] Census, 1930, MA, Norfolk, Quincy Ward 6. [S480] Letter, Linda Ashley to Walter Wood, 17 July 1996. [S482] Letter, Margo Locke to Walter Wood, 24 Jan 1997. 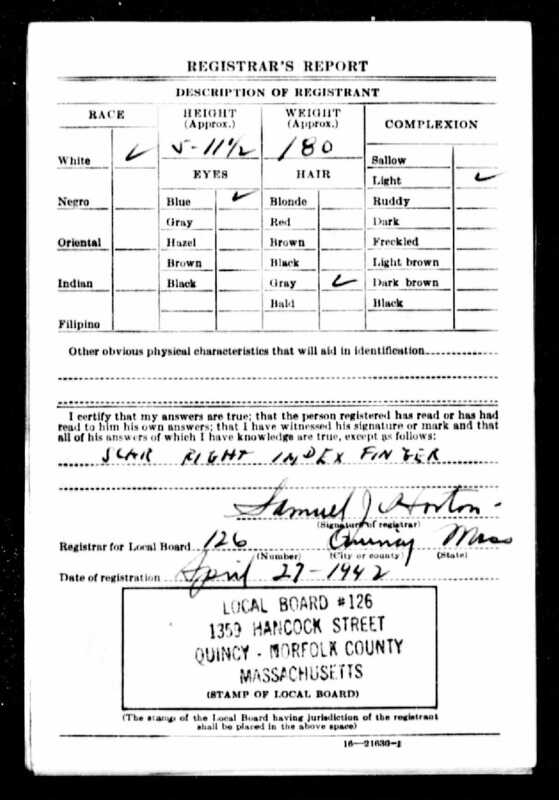 [S476] Census, 1930, MA, Norfolk, Quincy Ward 6, Alice's age listed as 45 in 1930 census. [S468] Census, 1910, MA, Middlesex, Lowell, Alice's age listed as 28 in 1910 census. 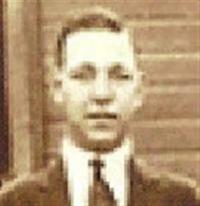 [S477] Jerry Harrison, "Jerry Harrison Research", Ancestral File, date of death as before 1960. [S478] Letter, Mary Killoran to Walter Wood, 20 Apr 2005, lists death as a suicide after suffering from depression. Lewis Walter Neal was also known as Louis Warner Neal. SSN 029-1016-94 on 26 April 1954. [S924] Louis Walter NEAL entry, Registered Birth, City of Boston (12 Oct 1884). [S923] Unknown subject entry, Boston Birth Records. [S923] Unknown subject entry, Boston Birth Records, born in 1884 to Walter and Mary j Neal. [S921] Louis W NEAL, WW1 Draft Registration, NEAL, Louis Warner. [S928] Boston Marriages - NEAL, L & GRENIER, Y 1915. [S920] 16 April 1910 Federal Census, unknown repository address. [S926] 7 Jan 1920 Federal Census, unknown repository address, age listed as 33. [S998] Unknown repository US Petition for Naturalization, Dec. of Intent No. 123318 (2 Jun 1924), unknown repository address. [S925] 16 Apr 1930 Federal Census, unknown repository address, Louis age 46, married at 31 born in MA, salesman in a woolen mill. [S997] 8 Apr 1940 Federal Census, unknown repository address, United States Census, 1940," database with images, FamilySearch (https://familysearch.org/ark:/61903/1:1:KQTC-64J : accessed 13 December 2016), Louis W Neal, Assembly District 3, Manhattan, New York City, New York, New York, United State, Louis W Neal listed hin 1935 residence as Boston, Suffolk, MA. [S927] 6 Apr 1940 Federal Census, unknown repository address. [S997] 8 Apr 1940 Federal Census, unknown repository address, United States Census, 1940," database with images, FamilySearch (https://familysearch.org/ark:/61903/1:1:KQTC-64J : accessed 13 December 2016), Louis W Neal, Assembly District 3, Manhattan, New York City, New York, New York, United State. [S922] Louis W NEAL, WW2 Draft Registration - NEAL, Louis W.
Grenier was spelling used by daughter in letter sent to grandson Kenneth Wood c 2000. [S925] 16 Apr 1930 Federal Census, unknown repository address. [S1004] Unknown repository Petition for Naturlization, 163127 (1 Aug 1935), unknown repository address. [S1001] 23 Apr 1891 Federal Census, unknown repository address, Ancestry.com. 1891 Census of Canada [database on-line]. Provo, UT, USA: Ancestry.com Operations Inc, 2008, Ivonne was 2/12 (2months) old on 23 April 1891 when the Canadian Census was taken. State (Year) SSN issued: Massachusetts (Before 1951), unknown repository. [S1001] 23 Apr 1891 Federal Census, unknown repository address, Ancestry.com. 1891 Census of Canada [database on-line]. Provo, UT, USA: Ancestry.com Operations Inc, 2008. [S1005] 6 Jun 1900 Federal Census, unknown repository address, Ancestry.com. 1900 United States Federal Census [database on-line], Simon GRENIER age 32 born Nov 1867 in Canada (Fr) and his wife Delia age 30 born Jun 1869 in Canada (Fr) married 12 years. She bore 4 children, all living. [S1006] 21 Apr 1910 Federal Census, unknown repository address, 1910; Census Place: Boston Ward 15, Suffolk, Massachusetts. Theophilus Barnes was born before 1755. James Dowling R.S. was born in 1756 at Winton, Orangeburg, South Carolina, USA.1 He married Mary 'Polly' Boutwell, daughter of Burtonhead Boutwell and Saoni unknown, before 1779. 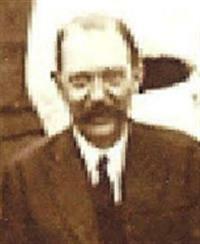 James Dowling R.S. died in 1797 at South Carolina, USA. James Dowling R.S. was also known as James Dennis Dowling. In Virginia after the death of little WILLIAM'S mother our ancestor ROBERT had remarried in 1754. He and this second wife, Sarah Guinn, had their first son four years later and agreed that his name should be JAMES. When he was fifteen, JAMES and the four other children of Sarah's had the thrill of their young lives; they went with their parents to a new home in South Carolina (see DFS Chart 101). 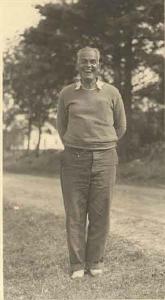 Nothing is known of JAMES'S boyhood days in the Jeffries Creek area before the Revolution began. It is natural to assume, though, that the younger days of JAMES and ROBERT'S two other boys were occupied with many hours of hunting so that the family's meat-bin could be supplied. This made them expert marksmen. Alexander Gregg tells us in his "History of the Old Cheraws" that JAMES and JOHN "Duling" served in Benton's Regiment that is known to have fought so ferociously against the British under General Francis Marion. After Marion had been defeated at Charleston his state had been almost completely over-run by the Redcoats. It was the mounting resentment of the colonists to government's rule of the people at this time that helped such men as JAMES Dowling leave their farms and begin fighting the King's soldiers. Marion showed his genius in organizing a band of guerilla volunteers; he gained recruits and trained them to be fearless riders and good marksmen. His Brigade became known far and wide for its successful exploits against the British. His sudden attacks often resulted in the capture of superior numbers and intimidated the Tories. Colonel Banastre Tarleton was sent to capture them but soon despaired of finding "the old Swamp-Fox". By 1779, with the Great War for liberty in full swing, JAMES married one of the beautiful Welsh daughters of Burtonhead Boutwell. Mary was her name, though some called her Polly (She was of Virginia birth and her mother may have been named Saoni Boutwell.) The nephew of JAMES and Mary, Reverend DEMPSEY Dowling, stated in 1857 that this couple had only three daughters, SALLIE, POLLIE, and LETTIE. But with this country's first census listing five daughters in the 1790 household of JAMES there is a strong possibility that two of them had died young before forty-two year old DEMPSEY left the Salkehatchee area. On April 28, 1795, for five-hundred pounds sterling, JAMES sold to brother JOHN a tract of land that had originally been a colonial-grant to one William Freeman. JAMES seems to have owned no other land. This property must have been the birthplace of all of his children; its sale was probably one necessitated by illness. Within two years of this transaction wife Mary Boutwell Dowling posted a bond qualifying as the executor of husband JAMES'S estate. Signing with her was a William Boutwell, probably a brother. After Mr. Dowling's death widow Mary and some of her children moved southward, as WILLIAM had done before the Revolution. In 1810 she was living in Barnwell District near JABEZ and ELIJAH, though she probably died in South Carolina's Beaufort District. And just as the father-to-son method of handing down information failed to bring us information on the burial place of WILLIAM and Rebecca, so has it failed in the case of JAMES and Mary. [S37] R.A. Dowling, A Dowling Family of the South, page 21. As mentioned at the beginning of this chapter, JAMES and Mary Boutwell Dowling probably had two little daughters who died young. Reverend DEMPSEY Dowling did not seem to know of them; as he was only six years of age at the time that the census-taker had visited his Uncle JAMES’S home and listed five daughters, it is only natural that DEMPSEY might have failed to mention such first cousins if they died as children while he himself was a child. 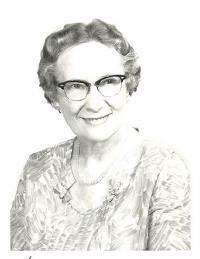 Mrs. Beulah Barnet Dowling uncovered no information on POLLIE and LETTIE, except the possibility that LETTIE’S other name was also CHARLOTTE. The author feels that LETTIE was actually the nickname used in place of LETITIA, for this girl’s brother WILLIS named a daughter of his LETITIA. [S37] R.A. Dowling, A Dowling Family of the South, Mrs. Beulah Dowling (just before her death) had also been told that SALLIE, the fifth daughter on Chart 101, married Edward H. Woodham, Sr, in the Jeffries Creek area of South Carolina before moving to Dale County, Alabama, where double-first-cousin DEMPSEY already resided. But a genealogical article in Dale County’s “Southern Star” a few years ago by Woodham’s great-grandson stating that the Sallie Woodham who died in Dale on January 23, 1865, was a Fields at the time she married Edward H., Sr., leaves the kinship of our SALLIE undecided. 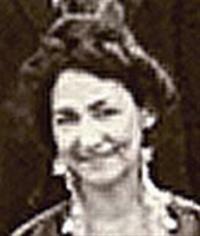 Mary 'Polly' Boutwell died at South Carolina, USA. She was born circa 1759 at Virginia, USA. She married James Dowling R.S., son of Robert Dowling R.S. and Sarah Guinn, before 1779. Robert Dowling's descendants can be seen in Chart 101.1 Mary 'Polly' Boutwell b. c 1759/60 After husband JAMES's death c. 1797 Mary and children moved South to Barnwell District near JABEZ and Eijah, though she probably died in SC Beaufort Dist DFS. Her married name was Dowling. Robert Dowling R.S. was born circa 1730 at Augusta, Virginia, USA. He was born circa 1735 at Surry, Virginia, USA.1 He married an unknown person before 1754 at Virginia, USA.2 He married Sarah Guinn, daughter of John Guinn and Sara Harper, in 1754 at Virginia, USA. Robert Dowling R.S. died before 26 May 1794 at Darlington District, Darlington, South Carolina, USA.1 He died on 23 February 1808. On August 1, 1643, a Frampton Dowling arrived in Virginia on board Captain Samuel Matthews' ship. It is not known whether he was the father of a Corporal William Dowling mentioned in Maryland records of 1694 nor whether he was kin to the Robert Dowling referred to in the Augusta County records of Virginia in 1700. It is known, however, that in Virginia about 1730 a small Dowling was born and given the name of Robert. Had he died without issue, no Dowling-blooded person mentioned in the book would have ever lived. 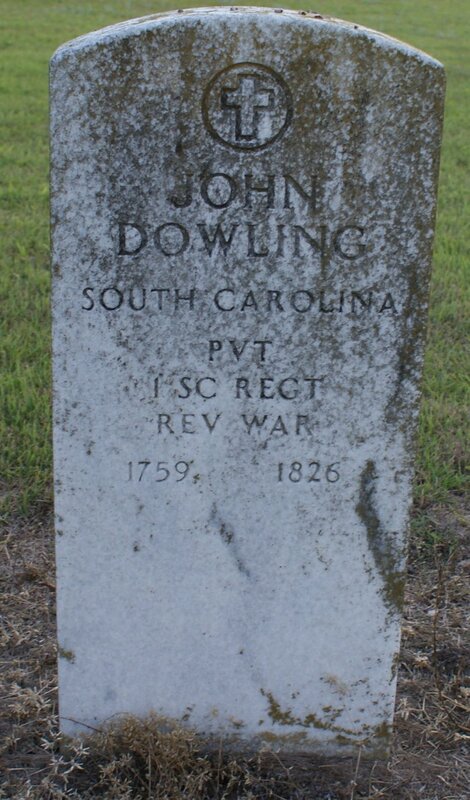 For he was the father of this Dowling family -- a family that has more descendants in the South than any other by the name Dowling. "When this lad married, no one bothered to write down the wife's name. Everyone knew it . . . then! Yet a century later an elderly grandson, Dempsey Dowling, did remember that she was of Virginia birth and that she had borne on child: his half-uncle William. Passing on the breath of life in the 1750's was costly. Robert's young wife died in childbirth. Son William, true to his Irish ancestry, would prove to be a thorn in the side of the British, then dominant in America. After Mrs. Dowling's death, family-founder Robert married a second time (see Chart 101). This marriage was in 1754; bride Sarah Guinn was also a Virginian, a member of the Guinn family who so distinguished themselves in the Revolution. Little did Sarah know that forty-six years later she would be in far-off Darlington District, South Carolina (where as the widow "Dooling" she would have only memories of the "Old Dominion"). By 1773 something caused Robert and his family to leave Virginia. For that is the date in South Carolina that King George II's deputy-surveyor, John Bremar, Esquire, "admeasured and laid out unto Robert Dowling a plantation or tract of land containing 300 acres. It is on Boggy Gully, bounding on all sides on vacant land and hath such shape and marks as the above plat represents." The preceding document and thousands of others (where duplicates were preserved by the King's men, nearly two centuries ago) may be seen in the War Memorial Building collection at Columbia, South Carolina. Robert's tract was cut through the middle by Boggy Gully branch, a stream that can be seen on present-day Darlington County maps. It is not known where Robert and Sarah's home stood. Dempsey stated that his grandfather's home was on Jeffries Creek, a larger stream two miles east of Boggy Gully. By 1900 the site of Robert's old log-house or that of one of his son's was faintly visible. Descendant John Marsh and his grandfather Simeon went there from Alabama searching for the place; they probably had the aid of Francis Asbury, Sr. (born twenty-nine years after Robert's death). All they could find was a "hollow-tree" well casing that had once enclosed the primitive well shaft. The home had probably been abandoned after the death of Sarah Guinn Dowling in 1908. 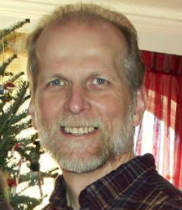 Robert moved to South Carolina five years after the first Methodist church was founded in America. His daughter-in-law is known to have joined a Methodist Church twenty-six years after this. With all Dowling emigrants from Ireland, that the author had knowledge of, being Catholic, he wonders when and how Robert or his forbear was converted. Did Bishop Francis Asbury accomplish the task? If so, the job was well done, for three of the grandsons shown on Chart 101 became Methodist preachers. Apparently, Robert had no use for strong drink; the year after he arrived in South Carolina, court records of the district in which he lived mention his complaint to the Grand Jury of a Joseph Gourly's drunkenness. Little is known of Robert's three daughters. Mary An Stewart's husband was probably named John; John Stewart was given fifty cents by Simeon Dowling's administrator for the purchase of planks with which to make the latter's coffin. A Noel Stewart bought the Bible of the deceased. All other information on these Dowling girls is given in Robert's will below. The author believes, however, that Sarah married a man by the name of Frederick Lee and resided in the Salkehatchee River area of South Carolina by 1786. Shortly after the call to arms by America's revolutionists, Robert became a soldier. He chose to fight with the men of his home state; by May of 1777 he was enrolled as a private with Captain William Vause's Company of the 12th Virginia Regiment. Records of the same unit several months later showed his name (Robert Doling!) on the Invalid List with eight and 24/72nds dollars of pay due him. Later he was with the 6th Regiment of the North Carolina Continental Infantry with Captain White's outfit. He fought at Musgrove's Mill, Guilford Courthouse, and in two battles that historians mention as America's mightiest blows for freedom: the Battle of the Cowpens and the Battle of King's Mountain. Pay voucher number 1563 in North Carolina records (Volume 16, page 1042) shows that Robert's pay for eight years of military service was a total of $186! TDF also discusses another Robert Dowling who was born in Augusta Co. VA, a runaway servant who was listed in court documents in that county at the same time that Robert Dowling RS was in South Carolina. Many have gotten these two Roberts mixed up.1 He witnessed the Milt-Note of an unknown person in May 1777.4 He left a will on 20 March 1794 at Darlington, South Carolina, USA.2 He and John Dowling Sr. R.S. A memorial tombstone for Robert and his son John was placed by the DAR in recognition of his Revolutiontary War service at the church Robert helped found in Darlington SC. Unsure of when this was done. at Philadelphia Southern Methodist Church cemetery, Darlington, Darlington, South Carolina, USA. [S433] MS State Society of DAR, MS DAR Ancestors, 2 Roster, listed as Pvt, S.C.
[S882] Robert DOWLING, DOLING, Robert Revolutionary War Roles 1775-1783, Revolutionary War Rolls, 1775-1783; (National Archives Microfilm Publication M246, 138 rolls); War Department Collection of Revolutionary War Records, Record Group 93; National Archives, Washington. D.C.
Sarah Guinn was born circa 1733 at Augusta, Virginia, USA. 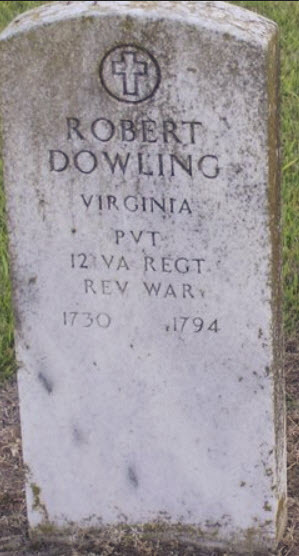 She married Robert Dowling R.S., son of Michael Dowling and Mary unknown, in 1754 at Virginia, USA. Sarah Guinn died in 1808. He witnessed the Milt-Note of an unknown person circa 1779 at South Carolina, USA.6 He and Robert Dowling R.S. A memorial tombstone for Robert and his son John was placed by the DAR in recognition of his Revolutiontary War service at the church Robert helped found in Darlington SC. Unsure of when this was done. at Philadelphia Southern Methodist Church cemetery, Darlington, Darlington, South Carolina, USA. [S491] Carol Rowell Haigler, The Dowling Family Book, llisted in his will as John Dowling Sr. There was not child shown named John. [S525] R A Dowling, A Dowling Family of the South by R A Dowling 1959, Page 39 A Dowling Family of the South. Find A Grave Memorial# 10927827. Her married name was Ogelsbee. Sarah Dowling married Frederick Lee.1 Sarah Dowling was born after 1754. Rebecca Walker was born circa 1750 at Virginia, USA. 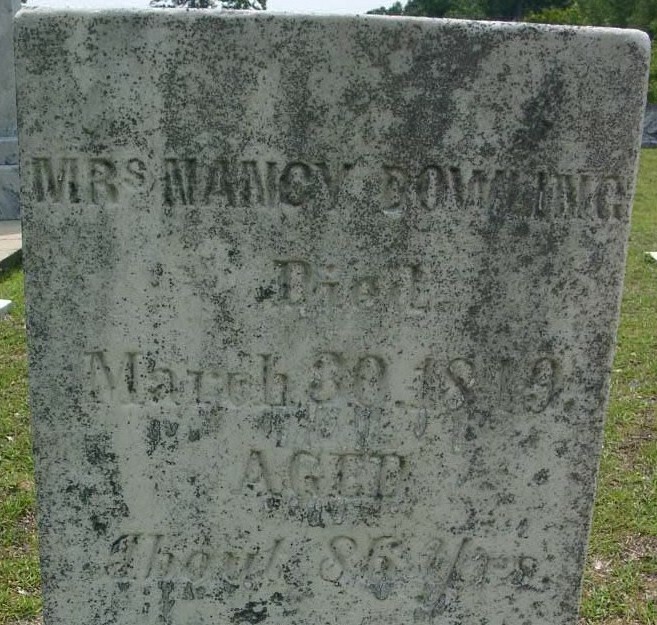 She married William Dowling R.S., son of Michael Dowling and Mary unknown, circa 1767 at Virginia, USA.1,2 Rebecca Walker died in 1789 at Bamberg, Bamberg, South Carolina, USA. She probably Born and Married in VA. Her married name was Dowling. Wife of John Dowling.not James, James died SC. Here again, in 1948 these were buried (unless Eustis got confused) at Ebenezer and Zion... it was Daniel P Dowling, Mary J McLean Dowling (who I still haven't found), Martha M Dowling (who is in here with...) Mrs. Nancy Dowling who d Mar 30, 1849 aged about 86 years. At some point there Dowlings must have all moved. Find A Grave Memorial# 6299506. Probably given name is John but not proof apparently exists. 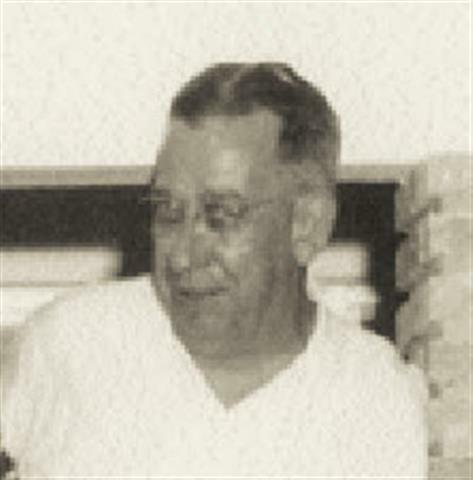 Joseph Wade Tuten was born on 24 February 1880 at South Carolina, USA.1 He married Ida Mae Dowling, daughter of Decanie Dexter Dowling and Mary Margaret Thames, in 1902. 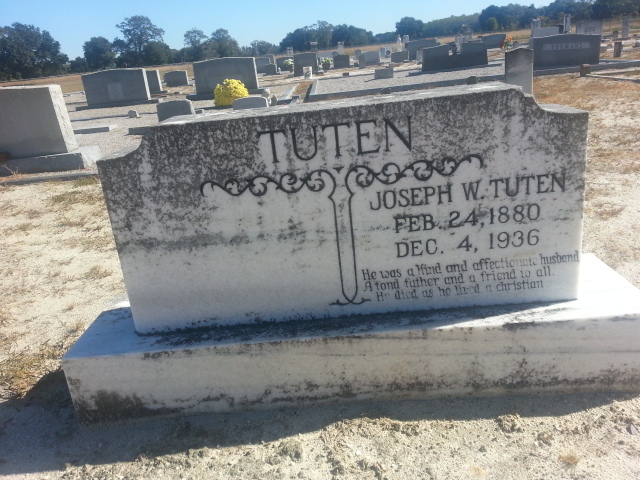 Joseph Wade Tuten died on 4 December 1936 at age 56. He was buried after 4 December 1936 at Hopewell Baptist Church, Hampton, Hampton, South Carolina, USA, On his tombstone: "He was a kind and affectionate husband. A fond father and a friend to all. He died as he lived, a Christian." Joseph Wade Tuten and Ida Mae Dowling appeared on the census of 21 January 1920 at Varnville School District, Hampton, South Carolina, USA.3 Joseph Wade Tuten and Ida Mae Dowling lived on 17 April 1930 at Allendale, Allendale, South Carolina, USA. Joseph Wade Tuten and Ida Mae Dowling appeared on the census of 1935 at Saint Petersburg, Pinellas, Florida, USA. [S501] 25 Apr 1910 Federal Census, unknown repository address. Find A Grave Memorial# 90685719. [S37] R.A. Dowling, A Dowling Family of the South, Chart 553. [S453] Unknown author, Walter Wood research, visited April 22, 2015. Find A Grave Memorial# 12011408. 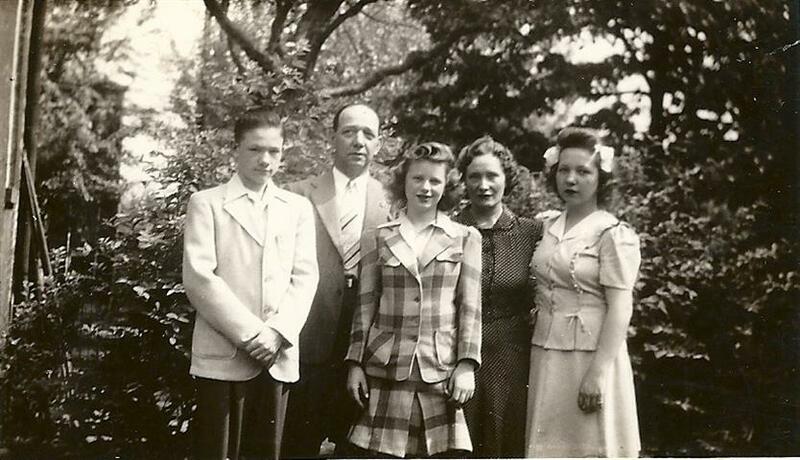 William Joseph Zoz and Sylvia Barbara Bennett appeared on the census of 3 April 1940 at Cincinnati, Hamilton, Ohio, USA.13 William Joseph Zoz was family photo in 1948. [S626] "Ohio Soldiers, Sailors & Marines, World War 1917-1918 Page 2295." [S594] Marriage Record Zoz, Wm & Bennett, Sylvia 1922. [S595] William J. Zoz, Death Record - ZOZ, Wm J 1894-1950. [S607] 22 Jan 1920 Federal Census, unknown repository address. She and William Joseph Zoz were (an unknown value.) Sylvia Barbara Bennett appeared on the census of 20 April 1910 in the household of Claude Francis Bennett and Josephine Jacob at Cincinnati, Hamilton, Ohio, USA.4 Sylvia Barbara Bennett appeared on the census of 8 January 1920 in the household of Josephine Jacob at Cincinnati, Hamilton, Ohio, USA.5 Sylvia Barbara Bennett was occupation shown on marriage license was "seamstress" in November 1922.2 As of November 1922, Sylvia Barbara Bennett lived at Cincinnati, Hamilton, Ohio, USA.2 As of 18 November 1922,her married name was Zoz. [S533] Death Record - ZOZ, Sylvia B. [S631] 20 Apr 1910 Federal Census, unknown repository address. [S632] 8 Jan 1920 Federal Census, unknown repository address. [S601] Joseph J. ZOZ, Death Certificate- ZOZ, Joseph J.1935, place of death listed as Cincinnati. [S597] 8 APr 1930 Federal Census, unknown repository address, 1930 census shows Julia Zoz was divorced. [S601] Joseph J. ZOZ, Death Certificate- ZOZ, Joseph J.1935. Juliana Schlick was born on 16 July 1872. She married Joseph J. Zoz, son of Franz Joseph Zoz and Margaret (Marguerite) Betz, in 1891.1 Juliana Schlick and Joseph J. Zoz were divorced on 25 July 1925 at Hamilton, Ohio, USA.1,2 Juliana Schlick died on 12 March 1967 at Cincinnati, Hamilton, Ohio, USA, at age 94. She was buried after 12 March 1967 at St Mary's Cemetery, Cincinnati, Hamilton, Ohio, USA. [S633] 6 Jun 1900 Federal Census, unknown repository address. [S593] Josephine Bennett, Ohio Death Certificate (29 May 1922). Received book for her graduation from grade school at age -- 12 -- 1891. [S581] [Unknown author], German Bread of Life Book. William Claude Zoz was born on 4 September 1923 at Cincinnati, Hamilton, Ohio, USA.1 He married Norma Jean Pope on 9 August 1952 at Cincinnati, Hamilton, Ohio, USA.1 William Claude Zoz died on 16 February 2019 at Clermont, Ohio, USA, at age 95. He was buried after 16 February 2019 at Gate of Heaven Cemetery, Montgomery, Hamilton, Ohio, USA. 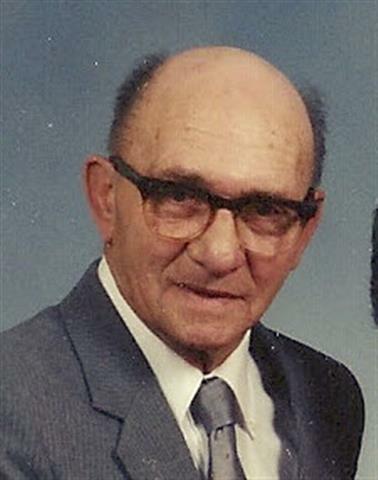 Obituary of WIlliam C Zoz, 95 of Union Township [Clermont co OH], passed away Saturday, February 16, 2019 at the Ohio Veterans Home in Georgetown. He was born September 4, 1923 in Cincinnati, son of the late William J and Sylvia B Bennett Zox, who passed away in 2007. He was a widower to the late Norma Pope Zoz, who passed away in 2007. In addition to his wife and parents, he was preceded in death by his brothers, Ray and Ralph Zoz and his sister Jacqueline ventura. William honorably served his country during WWII in the United States Navy. He is survived by his daughter Cheryl O'Rouke; son, William Zoz; grandchildren, Colin O'Rouke and his wife Sarah, Katie Driscol and her husband Robert, and Joshua Zoz; great-grandson Miles O'Rouke; sister, LaVerne Seiler and many nieces and nephews. published after 16 February 2019.